Understanding how melanoma functions and why melanoma cells in particular are resistant to normal mechanisms of cell death, known as apoptosis, is an important research aspect for Hunter Researchers in the HMRI Cancer Research Program. They are also trying to understand how obesity and special factors that would normally suppress tumours (known as p53) are altered in melanoma cells, making them so difficult to treat. 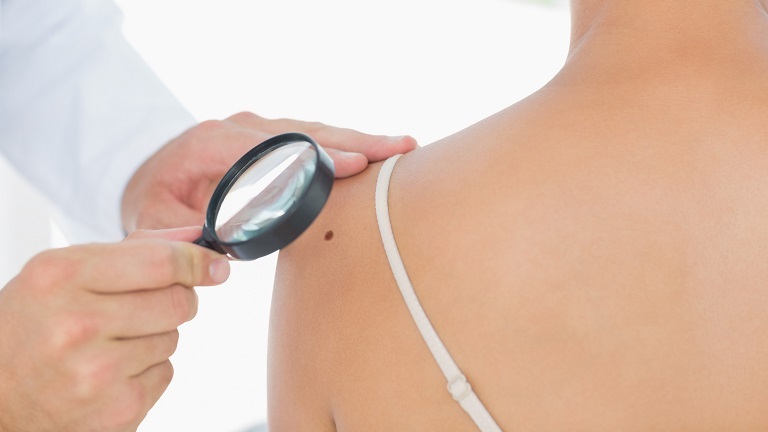 This team has identified a number of the biological mechanisms involved in the development of melanoma, which are potentially important in assisting with developing new melanoma treatments. In 2013, researchers in this group discovered a key molecule called PIB5PA which is essential for the normal functioning of cells and is commonly reduced in melanoma cells. By targeting molecules like PIB5PA and other important markers of melanoma cells, Hunter Researchers are pioneering personalised treatments to metastatic melanomas which may for the first time, provide an effective treatment for patients with advanced skin cancer. Breakthroughs by Hunter researchers have also identified key differences in the DNA of melanoma cells that help to make them resistant to chemotherapy. "Chemotherapy usually works by attacking the DNA of a cancer cell and damaging it so badly that it dies," Hunter researcher Dr Nikola Bowden explains. "Normally, the DNA repair pathway in a cell will either fix damage, as it does when we get sunburnt, or 'tell' a cell to die when the damage is extreme. But in melanoma this pathway is dysfunctional, so chemotherapy has little or no effect and the cancerous cells continue to accumulate damage and grow." By understanding how melanoma cells work and exactly how light and the sun can change our skin, Hunter researchers are working to unlock the doors that lead to reliable and effective prevention and treatment of one of the nation’s biggest killers.